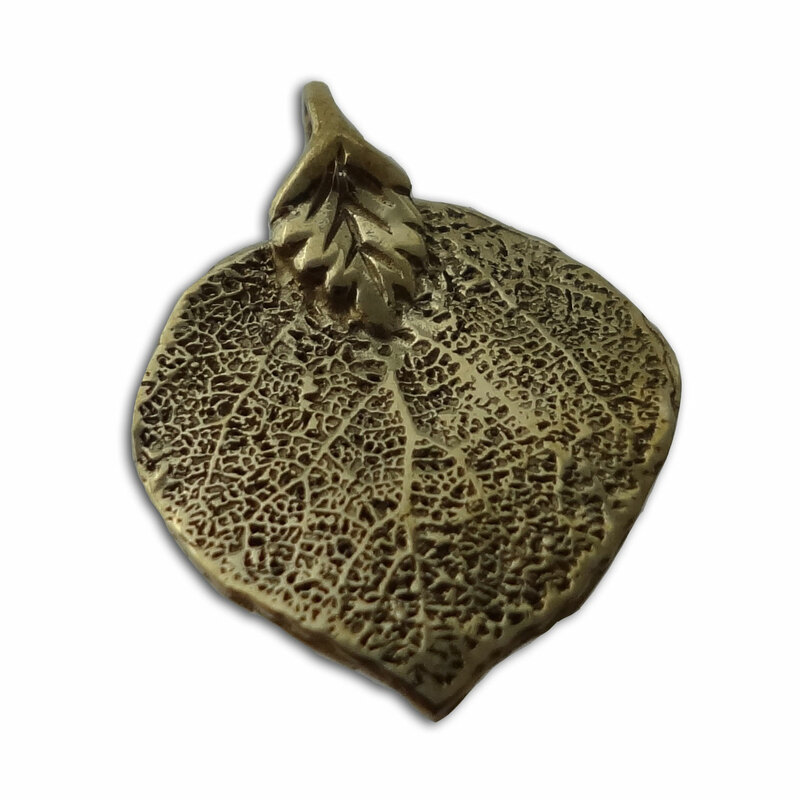 Recycled brass pendant in the shape of a bodhi leaf, also known as pipal leaf. The bodhi leaf is an important buddhist symbol reminding us of Buddha's enlightenment as he was sitting under a bodhi tree when he became enlightened. You can combine it with any of our necklaces to make a bodhi leaf necklace. Also available in sterling silver. 2.5 cm (1 inch), 1.7 g.